Apple and Samsung are currently locked in a legal battle where they are accusing each other of infringing on their technology patents. One interesting result of the exchanges between the companies is that their secret development plans are being unveiled to the public. Their most recent trade-off ended up confirming Apple’s plans for an iPad Mini. Aside from the iPad Mini, Samsung lawyers also tried to ask more questions about the iPhone 5 as well. Johnson pointed out that Apple makes changes to their phone’s designs every year and asked if we’ll be seeing this happening again with the iPhone 5, a question that Apple lawyers tried to object. Judge Lucy Koh allowed the question to ask but Schiller decided to respond by saying that he’d rather not comment on future Apple products. There you have it, confirmation that the iPad Mini was something that was being actively discussed within Apple’s inner circles. And with powerful people supportive to the idea, it seems very likely that we’ll be seeing this device soon. The trial will resume on August 6. 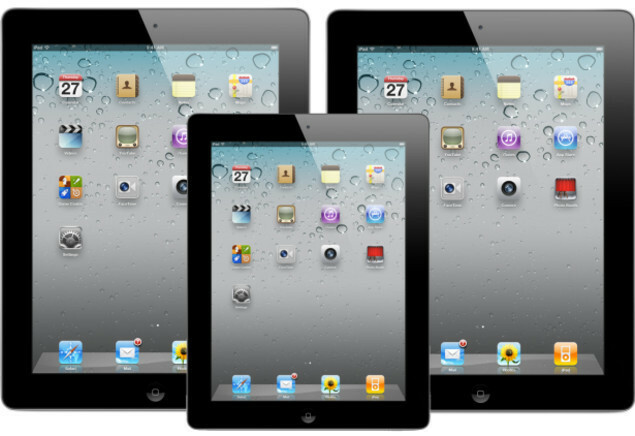 Be sure to check back for more details about the iPad Mini and Apple products here on Tapscape!